The High Street will form the backbone of An Camas Mòr – it will be the centre of employment and enjoyment. Services, commercial and leisure uses would be concentrated along the High Street. This will be within five minutes walk for everyone living at An Camas Mòr. 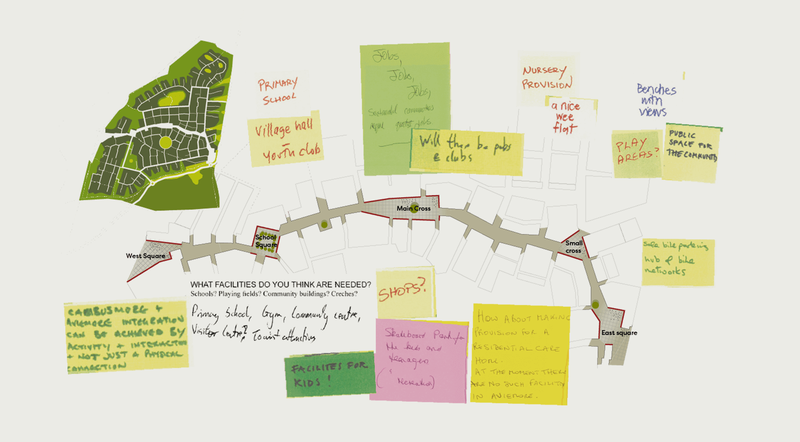 The sticky notes show the community’s suggestions gathered at public meetings and workshops: each proposal is now included in the plan for the High Street. The High Street will be within about five minutes walk for people living at An Camas Mòr. Pedestrians will have priority over cars in the High Street – the carriageway will be narrow with passing places. The street will include setbacks for outdoor seating and meeting. 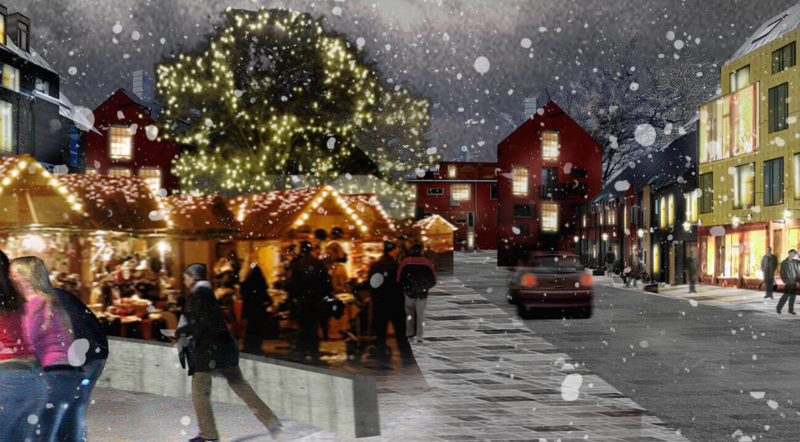 The High Street will include car parking at intervals for deliveries and the disabled. More parking is planned just behind the High Street, close by. 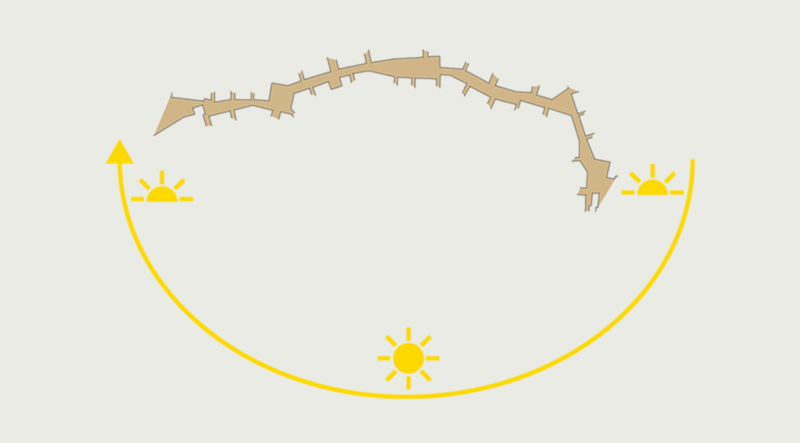 The curved High Street runs from the west gate to the east square (from Aviemore), catching the sun throughout the day. The West Square is linked to Aviemore via the Old Bridge Inn- it is planned to overlook the playing fields, the Spey and the Aviemore Countryside park. The primary school is planned with a courtyard entrance on to the main High Street, and with a link to the playing fields. It includes space for a convenience shop. It is at the end of the planned path leading from Aviemore and will be within walking distance for people living at An Camas Mòr. This is the focus of life at An Camas Mòr and is carefully designed to enhance the community in all seasons and weathers. It is designed as big open space, suitable for markets, with shop fronts, cafes and possibly a hotel facing onto the square. It may include a colonnade to provide shelter. This will connect people to the forest: the existing tree will be protected, and one street will lead to a woodland ‘wedge’ coming into the village. A colonnade is maybe planned at ground floor level. This would be a good place for a shop or café with places to sit out and great views towards the Lairig Ghru. It includes a place to park your bike before catching the bus.